A little extra money can go a long way. 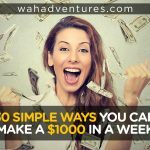 How great would it be if you can earn some spare cash in addition to your regular job – and you don’t need a second job to do it? Short task websites are perfect for people who want a way to earn some extra income without needing another job. Think about it: you can have extra cash to put toward debt, spend on entertainment for the month, or even to stash away into retirement savings. This post is going to be all about short task websites, how they can make you some extra money, and what ones are the best to use. As the name suggests, short task sites are websites that provide small gigs that can make you extra money. The tasks on the sites won’t take hours to complete (usually) like a real job. And, if they do take more time, you’ll get paid more money. You sign on and work when you’re available, and there are no other commitments required. You might also see these mentioned around the web as micro-tasking sites or micro jobs. With short task sites, you’ll complete jobs that interest you and match your skills. It’s similar to a virtual assistant position, but much more flexible. You typically won’t have any tasks that take more than a few minutes to complete. Business owners outsource tons of jobs to skilled workers who can complete them fast through micro job sites, like data categorizing, image tagging, quick research tasks, etc. This gets the job done by those who have experience and gives business owners more time to work on other aspects of their businesses. Each site works a little differently, but you’ll find many of the same types of tasks on them. Transcription, data entry, and short writing tasks are among some of the most common types of tasks you’ll see, but many sites have tasks that can meet a variety of skill types and levels. So, just about anyone should be able to find online work for extra cash at one of these short tasking sites! How Does Payment Work? How Much Can I Make? You might be surprised when you first sign up for a micro job site and see that a task only pays $0.01 or a little more. Remember, though, that these are quick tasks. You can typically do several of them within a few minutes, so the cash can rack up quickly. Other tasks that will take longer, like long audio files for transcription, can pay $5, $10, or more. It just depends on the type of work you’re doing. Most sites will have a minimum payout amount that you must reach to get your money. Then, you can transfer it via one of the allowable payment methods. Some websites, alternatively, will have a payment schedule, like once or twice per month, when they’ll automatically transfer your earnings from the previous pay period. Your earnings will depend on the website and the tasks available, and how often you work, so it will vary from person to person. Most people, though, shouldn’t expect to earn a full-time income from micro jobs. These sites are meant to give you a way to earn some extra money online, as opposed to providing your main income. Are Short Task Sites Worth My Time? They can be, but it definitely does depend on what you do. If you have skills that pay more, like writing and transcription, you can earn more per hour, typically, than someone who performs data entry tasks. Some skills are just worth more than others. I suggest testing out some of the tasks and see what ones you can do the most efficiently for more money so that you aren’t wasting time on tasks that take too long for little pay. There might be a trial and error period, but you’ll soon learn what works best for you. InboxDollars is a Get Paid To (GPT) site that offers tons of ways to get paid with short tasks. Some of the most lucrative tasks include completing surveys and free offers. But, you can also watch videos, play games, search the web, and more. Make sure you complete the bonus tasks for extra money. You’ll need $30 to cash out. Your first one will be a check, but after that, you’ll have more payment methods to choose from. Swagbucks is my favorite GPT site on the web, offering plenty of ways to make some cash by completing quick online tasks. I prefer to use Swagbucks most for cash back shopping. Anytime I shop online, I head to Swagbucks first and click the link for the retailer I’m visiting to earn credit for my purchase. You can also complete free offers, play games, read emails, take surveys, and do tons of other things on the site to earn SBs, the Swagbucks point system. Redeem your SBs for one of several gift cards, or you can even get a PayPal transfer. We’ve written a few articles about Amazon Mechanical Turk, or mTurk, like what HITs are the best money-makers. It continues to be a leader of microtask websites because of how many tasks of a wide variety are available at any given time. And, there’s rarely ever talk of not getting paid on time from this site. mTurk has some low-paying gigs and some much higher paying gigs, known as HITs on the site. You’ll need to test out some tasks to see what works best for you. You can get paid to your Amazon Payments account or your bank account. You can request your earnings whenever they’re approved, which typically happens within a day or so of completion. Also known as Appen, hires for several work from home positions, including micro-tasks. Most of these jobs entail transcription and translation, but you might even find some data entry tasks available. Search the job listings for “Crowdsourcing” to find these jobs. ClickNWork is a site where writers, typists, photographers, and more skilled people can find some side work. The site provides outsourced jobs to remote workers for businesses and individuals. Teams of workers can use the platform, too, to find work. Your pay is determined by client and project, and you can, of course, earn more from receiving high ratings for your work. ClickWorker is a popular mTurk alternative. ClickWorker’s FAQ section mentions that, on average, you can earn about $9 per hour here. Of course, that depends on how often you work and the type of tasks you do. Your earnings go to your PayPal account weekly if you meet the minimum transfer requirement, which is $10. Crowdflower Contributors can sign up for a free account and start working on projects that match their skills and interests. As you complete tasks, you’ll gain higher levels. Skilled Contributors can earn more money by having access to more work. You can complete skill tests to increase your level before you begin work. Crowdtap is a network where influencers can earn free products and extra cash by completing missions. You can sign up for brand missions, complete the given tasks, and earn points toward rewards and cash. The concept is a bit different than micro-tasking, but the premise is the same. Do quick tasks on a flexible schedule to earn money! EasyShift is an app for iOS and Android devices that pays you to complete quick, easy tasks around your neighborhood. You might need to visit a storefront and take a photo or provide your thoughts on a restaurant meal. 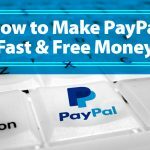 You get paid via PayPal after your task has been approved, which usually takes no more than 48 hours. Fancy Hands is the perfect site for those interested in virtual assistant work, but on an even more flexible schedule. It’s basically a platform that blends virtual assisting with microtasks. Common tasks include quick phone calls, appointment setting, and data entry. Most of them range between $3 and $7 per task. You’ll get paid bi-weekly with Dwolla. Field Agent is a fun app that lets you get paid to do things around your neighborhood when you have some free time. You’ll need to do things like take photos of promotional displays or complete short mystery shops. Once you pick a task, you have to complete it within a couple of hours, so make sure you’re close to the area. Once your tasks are approved, you can cash out with Dwolla. Fiverr gives you a unique opportunity to work flexibly online, do things you enjoy doing, and make money with it. Here, you set your own gigs and prices, rather than complete the gigs other people set. You’re in control, which means you can do things you love to do to earn money. People who earn money on Fiverr do everything from write articles to design websites. And, if you ever need a break from your Fiverr gigs, you can always set your account on vacation mode temporarily to pause new orders. Fourerr is an obvious response to Fiverr, whose prices start at $5. At Fourerr, they start at $4. The basic idea is the same too. Post your own gigs and prices and wait for others to buy them. 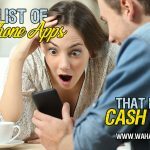 FusionCash is a reward site that pays you for various online tasks. It’s a little different than micro-tasking, but again, you do quick things on the web to make a few bucks. And, you even get $5 just for signing up! After that, you can take surveys, play games, click on ads and links, refer friends, and more to earn some money. You get paid with PayPal when you have $25 in your account, and at least $15 that aren’t from referrals. GigBucks is sort of like Fiverr. You can create your own gigs, name your price, and tell others what you can do for them. You’re in control of your work and payment. There are tons of categories to choose from, even one labeled “Fun & Bizarre” for anything that doesn’t fall into another category! GigWalk offers a way to do mini jobs from your cell phone, similar to Field Agent. Some tasks are quick and will take only a couple of minutes to complete. Others are longer and could take a couple of hours, but will also pay more. Once your tasks are approved, you’ll get paid via PayPal. Formerly Zoombucks, GrabPoints is a popular rewards site that pays you for several online tasks via the website or mobile app. GrabPoints include things like signing up for offers, downloading apps, and completing surveys for points. You can redeem your points for gift cards or PayPal cash! Guru is technically a freelance marketplace where freelancers of all types can find clients. But, there are a lot of small tasks here that you can complete quickly. You just have to look for them. 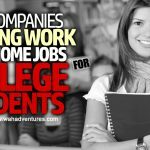 You might want to try categories like data entry or research to find these types of jobs. Guru has its own payment system where clients can send money into a SafePay account for Guru to hold until work is complete. Then, when it’s approved, you’ll get the money to your account, allowing you to cash out with PayPal. JobBoy is a newer micro job site that mostly offers payments for signups. You might need to register an account on a website or sign up for an email newsletter, for example. It might be a good idea to create a separate email account if you’re going to use this site so that your main inbox doesn’t get full of emails from your signups. I like that you can see about how long each task will take, the payment for it, and the success rate of getting paid when it’s complete. Microworkers is one of the most talked about short task sites, along with mTurk. This site seems to have a steady stream of work available of all types, from captcha entry to research tasks. You’ll have ratings here, and a higher rating will get you more work. You can transfer your earnings to PayPal, Skrill, Dwolla, or your bank account when you’ve earned at least $9, plus enough to cover transfer fees. MiniJobz has several types of quick tasks available that will pay you small amounts to complete them. Once you submit your proof of completion for a task, you can get paid instantly through Payza or PayPal. The site also has a referral system to earn more cash from what your referrals make! When you log in, you’ll see open missions posted by stores and restaurants near you. Choose the ones you want to do. Most will only take a few minutes and will give you between 5 and 10 questions to answer about your visit. 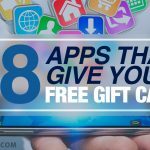 The app pays in cash, gift cards, and other prizes of your choice. NeoBux gives you a unique way to earn money by viewing paid advertisements. You’ll view and click on ads from NeoBux partners and get paid with Payza, Skrill, or other payment methods. There are also paid offers and games that will give you more earning opportunities. OneSpace is similar to Guru in that it is a place where freelancers and clients can find each other for work on projects. There is a variety of task types, so you can do the tasks that meet your skills or even try something different. OneSpace will pay you daily for all approved work, which is a helpful feature to have. Another GPT site, Points2Shop has plenty of quick online tasks that will pay you money. According to reviews about the site, completing offers seems to be one of the most lucrative ways to earn. But, you can also play games, watch videos, invite your friends, and do various other things on the site to make money. You get 250 points for free just for signing up. Most of the tasks on RapidWorkers are $0.25 or below. That’s because they’re super quick to complete, making this one of the best options for those who want the most flexible experience. This site includes tasks like voting for a video on YouTube, signing up for an email account, or following an account on Twitter, all of which would take no more than a minute to complete. 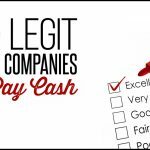 RapidWorkers pays via Skrill, Payza, and PayPal and will get paid within a week after cashing out. You only need $8 in your account to withdraw. SEOClerks is a good place for SEO experts to find some side work. Similar to Fiverr, you name what you can do, along with your price, and post it on the site. Others will hire you if you’re a good fit for their needs. This site also has categories for some blog writing, paid tweeting, theme creation, and more. Shopkick is all about rewarding you for shopping tasks using its mobile app. When you visit a store, scan the barcodes of products you’re buying. The info goes toward market research, so brands know what consumers are purchasing. You can also shop online, and get rewarded for your purchases. This app pays with gift cards to places like Walmart, Target, and Starbucks. ShortTask is, as the name suggests, a place where you can complete short tasks online. This one doesn’t tend to have as many jobs available as some others, but it could still work as a fill-in place. You’ll complete jobs from Seekers, or those who request work. Categories here include everything from research to logo design. Smart Crowd is a part of Lionbridge, another company that’s known for being very work-from-home friendly. This site is the place to find Lionbridge’s micro-tasks. Some people have more luck here than others, simply because many of the jobs require certain ages or locations. But, it’s worth a try to see what’s available to you. Rates vary per task, and Smart Crowd pays once per month. TaskRabbit provides a way for people to find gigs around their neighborhood, from handyman work to furniture assembly and more. Whatever your skills, and however much time you have available, you can likely find something on Task Rabbit. When you’ve finished the job, you’ll get paid by the customer directly through the app. Truelancer is a freelance marketplace like Guru. Search the jobs posted by clients, create a proposal, and the client will hire you if you meet their needs. Truelancer has an escrow system to make payments for both clients and freelancers secure. Upwork is, in my opinion, the best freelance marketplace. Not only does it protect freelancers the best, but it also has a steady stream of jobs added every day on the platform. There is a broad range of job types here, too, from customer service to translation, with varying skill levels and times to complete them. Upwork has a payment escrow system that helps both clients and freelancers ensure a safe, secure transaction. You can connect your bank account to Upwork so the platform can transfer your earnings directly to your account once the 5-day transfer period is over. UserTesting is a fun way to earn some occasional extra money. You’ll test websites and apps, spending about 20 minutes of time per test, and get paid $10 just for giving your thoughts to the client. UserTesting is just one of several similar sites that pay you to test. Zaarly is a marketplace for you to find some local gigs from people who need help. You can complete repair jobs, house cleaning, lawn services, and other skilled work. You can even set up a business using the site, so this is something that can turn into a full-time income if you put the work in to do so. Zaarly is currently only available in a few select cities, but is planning to expand into others. Zeerk is a micro job marketplace, perfect for freelancers and anyone else who wants to get paid for quick gigs. You create your own gigs and name your price. Zeerk has several categories, like Writing, Programming, and Lifestyle, so you can likely find a good one for your skills. Quick online tasks won’t usually give you enough money to replace your day job unless you sign up for several at a time, which can get overwhelming. But, they’re the perfect solution for people who need a flexible way to earn extra money, like a stay-at-home parent with young kids in the home. I encourage you to sign up for a few of the above sites that sound like a good match for you and spend a week or so trying them out. Then, you can stick with the ones you love and start earning money. Did we miss any other micro job sites or apps that you use? Please let us know in a comment and tell us a little about it! I have found out a few well known resources here along with a few others that I didn’t have earlier. I’m going to bookmark them as well as am going to share with my work from home mom’s community. Thanks a lot!